Everything Attachments 15 Inch cast iron Smooth Cultipacker Wheels Free shipping within 1,000 miles! 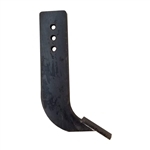 Everything Attachments replacement shovel point for furrowing attachment measures 6" W x 8 5/8" T overall. Holes are spaced 2" center to center. Free ground shipping to your door within 1,000 miles! Replacement poiint for Everything Attachments subsoiler. Also fits Fred Cain subsoiler. Free ground shipping to your door within 1,000 miles! Set of 4 replacement shank tips for the Everything Attachments Box Blades Free ground shipping to your door within 1,000 miles! Replacement pin for everything attachments category I & II attachments. Free ground shipping to your door within 1,000 miles! Replacement foot for Everything Attachments subsoiler. Also fits Fred Cain subsoiler. Free ground shipping to your door within 1,000 miles! Pair of replacement 3 hole shanks for Everything Attachments Compact Tractor Box Blade Free ground shipping to your door within 1,000 miles! 10 pack of Everything Attachments Hardened Aerator Tines. Free ground shipping to your door within 1,000 miles! Pair of 4 hole Replacement Shanks for Utility and Xtreme Duty Tractor Box Blade. Free ground shipping to your door within 1,000 miles! These are replacement shanks for the Everything Attachments 60-125 Large Shank Box Blade ONLY. These are replacement shanks for the Everything Attachments High Horsepower Grader-Clearing Box Blade ONLY. Class 4 PTO Shaft for Post Hole Diggers with 1 1/4" gear box input shaft Free ground shipping to your door within 1,000 miles!